Now in its fifth year, dineLA Restaurant Week is a citywide celebration of the vibrant Los Angeles dining scene, with over 300 restaurants offering specially priced three-course meals for lunch and dinner. The January-February 2012 edition of the foodie fortnight includes newcomers such as Mercato di Vetro and Ray’s & Stark Bar, as well as charter participants like Chinois on Main, Lawry’s the Prime Rib and Valentino. Diners can choose from a dizzying array of restaurants from Manhattan Beach to Pasadena, spanning a wide range of cuisines and price points. 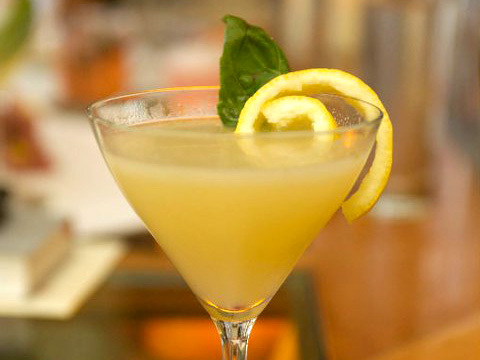 For the first time, dozens of restaurants are also offering selected cocktails along with their Restaurant Week menus. Although they aren’t included in the prix fixe menus, many of these drinks will be discounted from their regular prices throughout Restaurant Week. 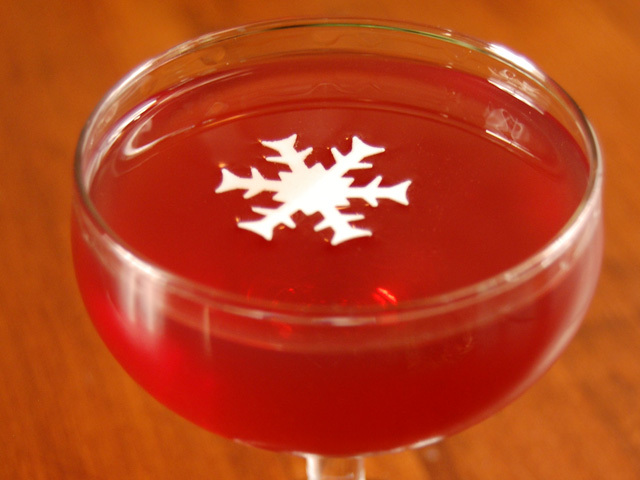 After the jump, check out a few of the cocktails that will be featured at participating restaurants. To help you navigate the Restaurant Week list, Caroline on Crack has a great roundup of restaurants with top notch cocktail menus. For a full list of restaurants, menus, and to make reservations, visit the dineLA Restaurant Week website. 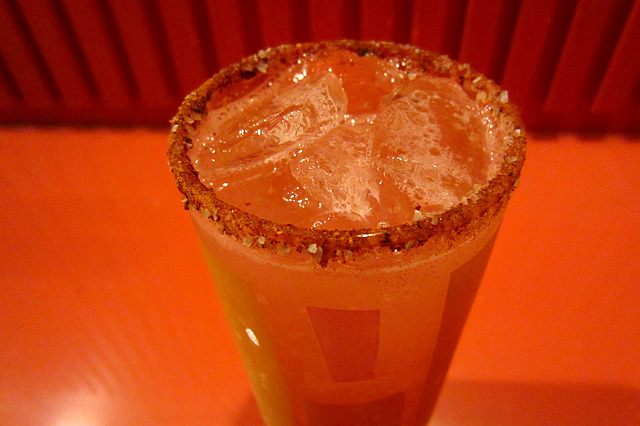 New Escobar: reposado tequila, Amaro Zucca, lime, grenadine, dash of ginger ale. Dead Meridian Punch: rye, arrack, lime, grapefruit, celery bitters, seltzer. 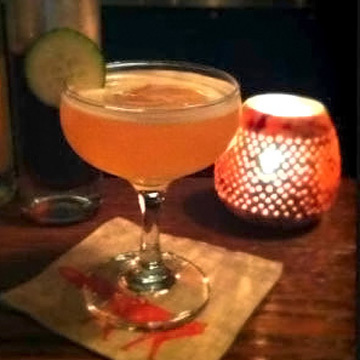 Property Tax: bonded apple brandy, Amaro Nonino, lemon, maple, Angostura Bitters. Border Grill has been a Restaurant Week participant since the program’s inception, and both of its Los Angeles locations are offering a specially-priced signature cocktail for $9. 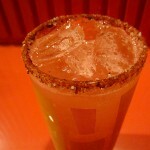 Border Grill Downtown LA is featuring the Mezcal Paloma: reposado mezcal, freshly squeezed grapefruit, spiced salt rim. 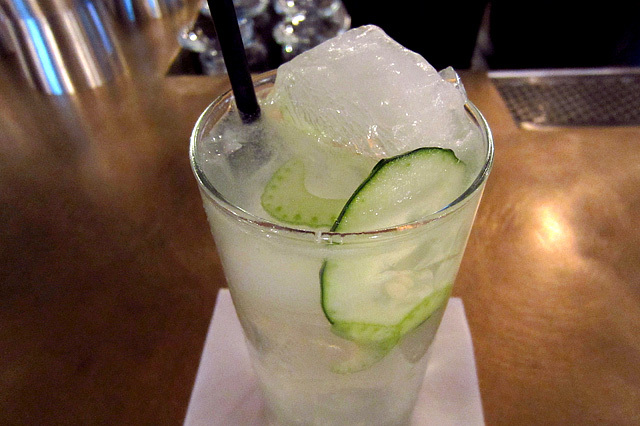 Border Grill Santa Monica is featuring its Cucumber Margarita: 1800 silver, cucumber, jalapeño, fresh lime. With five restaurant bar programs under his watch, the odds were favorable that Julian Cox would have a cocktail or two featured during Restaurant Week. Picca will be offering a cocktail created especially for Restaurant Week, the Viceroy Old Fashioned: Pisco Acholado, Dolin Blanc, Bittermens Hiver Amer Liqueur, Peruvian Bitters. The Viceroy Old Fashioned will be specially priced at $10 (cocktails are regularly priced at $12). 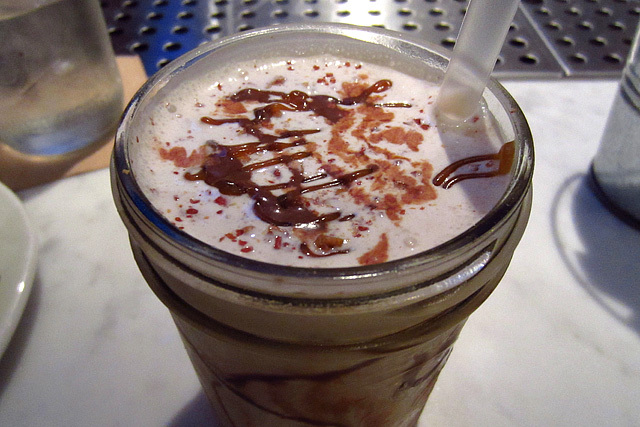 Short Order is offering an optional “dessert” course, the Charlie Brown: vanilla custard, roasted Spanish peanut infused bourbon, chocolate ganache ($8, regular price $12). Mlynarczyk’s take on the classic French 75, the Spirit of 75: house made orange blossom gin, Lillet Blanc, sugar, lemon, bubbles ($12). El Guerro: Mezcal, blended Scotch, agave, Dolin Blanc Vermouth, lime, cucumber, grey salt ($14). Mlynarczyk pays tribute to chef Mark Gold’s family with her Manhattan variation, the Sheepshead Bay: bourbon, house made kummel, benedictine, Cocchi Americano ($14). Flintlock: Blended scotch, Laphroiag single malt scotch, housemade lapsang tea liqueur, chocolate bitters, flamed orange, applewood smoked glass ($12). In Venice, Joe’s Beverage Director Jennifer Zerboni is featuring the Fleur de Lis: Luksusowa Vodka, lemon, grapefruit, St. Germain Elderflower Liqueur, muddled basil ($12). The Raymond offers a selection from the 1886 Bar’s Winter Menu, a Manhattan variation by Danny Cymbal that gives a nod to Pasadena. His Oak Knoll Manhattan uses housemade mulled wine vermouth crafted with locally-grown spices and botanicals, bonded bourbon, dry vermouth, and dried sugar garnish ($12). In what may be a first, Sadie is opening during Restaurant Week, on Tuesday, January 24th. Giovanni Martinez, who oversaw the bar program at Sadie in its previous incarnation as Les Deux Estate, is featuring a cocktail made especially for Restaurant Week, the Garden Collins: Old Tom Gin, cucumber, celery, simple syrup, fresh lime ($6).